Jorge Garcia was brought to the U.S. from Mexico at age 10 and spent the next three decades building a life in Michigan, said journalist Niraj Warikoo. Now he’s been sent back to a homeland that doesn’t feel like home. 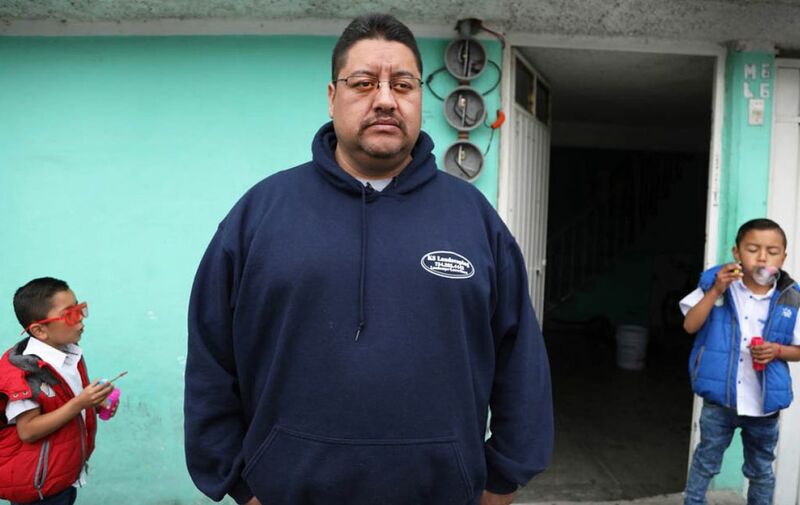 Standing outside his new home sloped on a bumpy street, Jorge Garcia turns his head and gazes down the block of a working-class city about an hour northwest of Mexico City. Two weeks earlier, Garcia was deported from Michigan to Mexico after living in the U.S. for 30 years, forced to leave behind his family, friends, and a solid job in landscaping. Now the married father of two finds himself alone in an unfamiliar country, with an uncertain future. 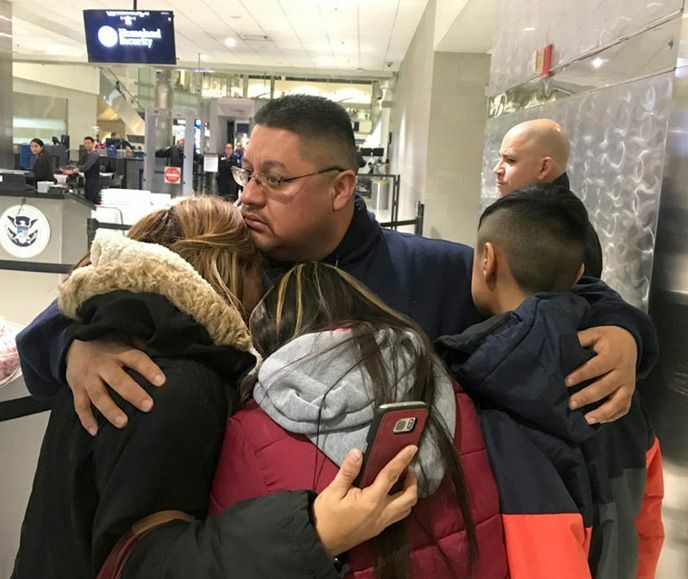 After the Detroit Free Press reported on his deportation on Jan. 15, Garcia became a symbol for immigrant advocates, who say his removal is an example of the government’s overzealous crackdown on illegal immigrants. He was only 10 years old when an aunt brought him to the U.S. without authorization. Now 39, he had lived his entire adult life in the U.S. before his removal. Garcia has no criminal record, but the U.S. says that anyone without legal status can be removed. ICE has defended his deportation. Nicolás Romero is not an easy place to navigate for a newcomer. It’s a challenge to get to and from Mexico City, up and down winding hills with speed bumps and graffiti-strewn buildings that house people struggling to find jobs. Last year, riots and looting broke out in Nicolás Romero after the Mexican government raised gasoline prices, according to media reports. Garcia lives with his aunt on the second floor of a tidy house that’s painted green, with pet cats roaming around. While he’s glad to at least have a family member to stay with, he has lost control of his life. He doesn’t have his own bathroom, he relies on others to buy and prepare food. He was unsure how to get his blood pressure medication until a cousin helped him figure out the bureaucracy in Mexico. He misses his Michigan block, his dog, his steady, contented life in an American suburb. Most of all, he misses his wife, Cindy, and two children, Jorge Jr., 12, and Soleil, 15. Garcia’s only connection to his American life comes through his cellphone—if it works. He tries to keep in touch with his wife and kids, but phone service is spotty up in the hills. Garcia was born in Guanajuato, a few hours northwest of Mexico City, and later moved with his parents to Nicolás Romero to a house that is just across the street from where he’s living now. Back then, “there were just a handful of houses and the rest of it was nothing but empty land,” he says, looking at his former home, painted blue with a concrete front. The population of Nicolás Romero, located in the state of Mexico, has jumped as people flock to an affordable area where they can commute to jobs in the Mexico City area. The surge has created congestion and economic tensions at times. A man walks by ringing a loud bell, announcing that garbage collection is coming soon. Loud music blares from homes on this block, waking him early, a stark contrast to his quiet block in Lincoln Park in the U.S. When he lived in the U.S., Garcia thought he might visit this place one day, never imagining “I would be back here in this situation,” he says. In the 1980s, Garcia’s parents came to the U.S. and still live there undocumented. In 1989, another aunt brought Garcia to the U.S. He graduated from middle school and high schools in Chicago. When he started to apply for jobs and considered college, Garcia realized he was undocumented. He and his family then moved to Detroit, where he met Cindy at a dance. She was a U.S. citizen born to immigrants from Mexico. “I was like the only one sitting down and she comes up to me and tells me, ‘Hey, you wanna dance?’ So we started dancing and after that, we started talking and basically after that we started going out. We decide to get married, start having kids.” The couple married in 2002. Since 2005, the Garcias have been fighting for Jorge to obtain legal status, spending more than $100,000 on attorneys and fees. The couple says that one of their previous attorneys had filed the wrong paperwork and Jorge was ordered removed in 2009, but he was repeatedly allowed stays of deportation until November 2017. Jorge feels that he is being punished despite being open with immigration officials about his status and working for years to gain U.S. residency. “For trying to do the right thing, everything came out wrong,” he said. What happened to Garcia has become increasingly common in recent years as Mexican immigrants living in the U.S. are deported or move back to Mexico because of their undocumented status. More Mexican nationals are returning to Mexico, while the number of Mexicans moving to the U.S. is decreasing, according to a Pew Research Center report. From 2009 to 2014, about 1 million Mexican-Americans moved from the U.S. to Mexico. Under President Trump, the number of deportations has slightly decreased, but that’s largely because the numbers of those crossing the southern border has decreased. The number of interior removals, targeting people like Garcia, increased over the past year, according to U.S. Immigration and Customs Enforcement (ICE) statistics on removals last year. The stories of what happens to people like Garcia often get drowned out by talk of those who remain in the U.S. The White House and Congress are currently debating what to do with DACA recipients, the children of undocumented immigrants. Garcia is one year too old to qualify for DACA, and others like him who don’t qualify are now back in Mexico. On a recent Saturday, Anderson helped inaugurate a new center created by Otros Dreams en Acción called Pocha House. Inside a building, up three flights of stairs, in a bustling section of Mexico City, a group of Mexicans who used to live in the U.S. gathered in a circle at the center to share their stories of starting again in Mexico. Enrique Rojas, 30—who was born in Mexico but lived in the U.S. from 1999 to 2011, when he was deported from Indiana—kicked off the session, speaking in Spanish about his challenges. A woman in a similar situation asked a legal adviser about whether she has a chance of returning to the U.S.
On a wall in Pocha House, a sign reads “De Aqui De Alla” (From Here, From There), referring to people with roots in both Mexico and the U.S. Below are photos of people deported. The word “pocha” or “pocho” is often used as an insult by some Mexicans for Mexican-Americans who return to Mexico. Upon returning, some face teasing for their accents or American ways. Places like Pocha House, which Anderson helped create, help ease the transition and provide a support network and logistical help. Jorge Garcia has become a spokesman for immigrant rights, and while the attention can be overwhelming at times, he says he hopes it can help others. “If it’s going to help somebody with anything that they’re going through, then I’m not just doing it for me, I’m doing it for others too,” he says. He tries to follow the latest news on the immigration discussions in the U.S. One possible DACA bill could allow immigrants like Garcia to stay in the U.S.
For now, Garcia’s hoping that attempts by his wife and attorney to get him back home to Lincoln Park will succeed. They’re currently filing paperwork with the U.S. Embassy in Mexico to grant him a waiver to be admitted back in the U.S. That process could take at least 18 months to even get an interview with the embassy to be considered. These days, when he looks out the window of his spare bedroom in his new home, Garcia can see a wooded area and beyond that a hill on which sit the colorful homes of Nicolás Romero. He wonders how long this will be his view. “I’ve been thinking about getting my own place, but everything is going to depend on when I get my interview” with the embassy, he says.